"Horse Fancier" is a title in the ArcheAge game world. This guide analyzes how to obtain it with pictures. To gain the Horse Fancier title, you have to complete breed six horses. First, you need breed rown, Gray and Buckskin Lilyut Horses. Got to Wardton in Solzreed Peninsula and buy the Brown, Gray and Buckskin Lilyut Horses from the NPC Wyatt. Then you interact with them on the ground. Get Vita Root to feed them, bring water to them and keep interacting with tem untill they are fully grown. Then put the three hourse into your inventor. Second, you have to raise the Alabaster, black and Dappled Lilyut Horses. You can buy the Alabaster, black and Dappled Lilyut Horses from the mount vendor on Mirage Isle. 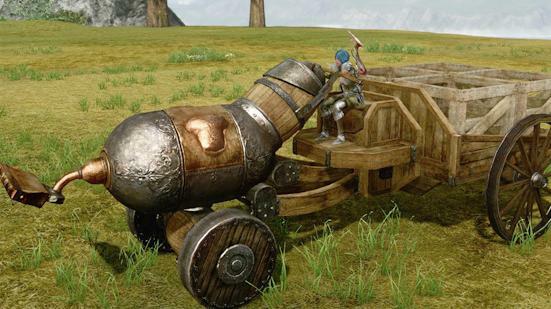 Each of them will cost you about 50 archeage gold. In addition, don't forget buy carrots for the horses on Mirage Isle.Then go outside of Mirage Isle and put them on the ground. Inteact with the house and feed them with carrots untill they are fully grown. Third, when you have raised all six Lilyut Horses and place them in your inventor, it is time to travel to the Prison Camp located in the est part of Halcyona. When you pass Douglas near the entrance of the Prison Camp a quest will pop up. Talk with Douglas and complete the quest. As a reward, you will be granted the title "Horse Fancier". You can open your "Characte Info" and choose ArcheMaster". You will see it.